I got this particular wasp up my pant leg reviewing my morning emails. Among the pile was a recurring newsletter I subscribe to — eWebDesign ,with products and coding resources of interest to Graphic and Web Designers and Developers. In today’s batch was “A Free Single-Page WordPress Theme”. If you’ve spent any time on the web lately, these have been all the freakin’ rage, especially for startups, announcements and entrepreneur sites. A quick look gleaned me this gushing hose of marketing copy. Yes, I know, marketing copy. Imagine that. 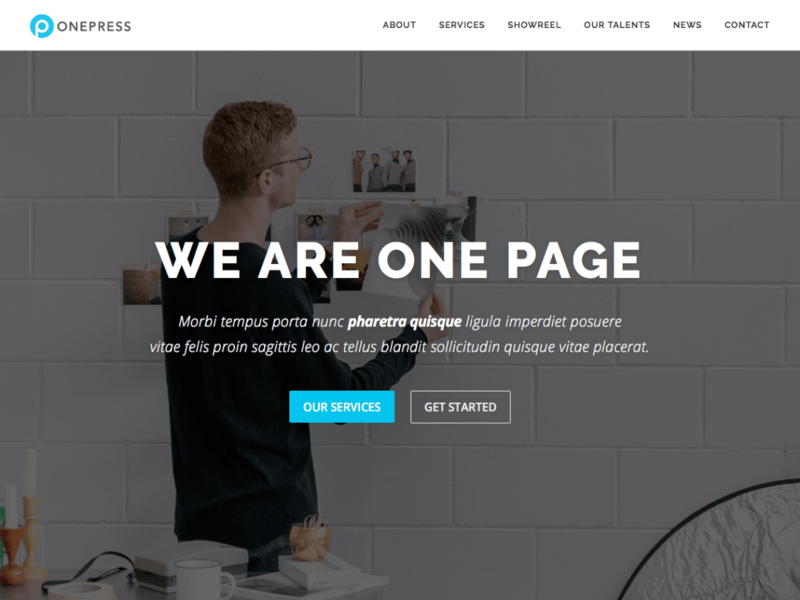 “If you’re a fan of the scrolling single-page parallax style themes, OnePress is a new one on WordPress.org that may pique your interest. After less than a month in the official directory, it has already been installed on more than 3,000 websites. OnePress was developed by the folks at FameThemes using Bootstrap version 4. It is suitable for business, portfolio, and agency websites.